Let us make an "As Is" all-cash offer on your house. Need to sell your house fast in Kona on the Big Island of Hawaii? We’d like to present you with a CASH “As Is” offer for your property. 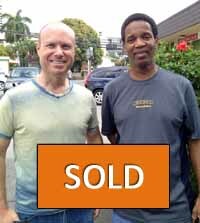 We’re professional real estate investors who buy property in Hawaii and may be interested in buying yours. If you want to sell quickly, we could even have a check in your hands in as soon as 15 days — you tell us. We buy houses Kona, Big Island of Hawaii in any condition… As Is. Allow us to take over the burden of owning your stressful property. 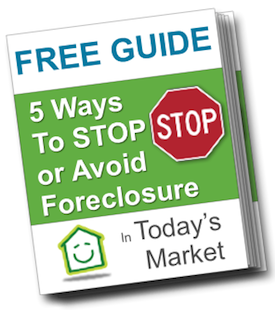 We can help you start moving forward again, getting past any number of situations like (but certainly not limited to)… avoiding foreclosure, divorce, relocation, inheriting a property that’s too beaten down or expensive, vacant house, upside down with your loan, behind on mortgage payments, owe back tax liens, could’t sell your house with a realtor, requires expensive repairs you can’t afford, fire damage, terrible tenants and more. If you have a property in Kona on the Big Island of Hawaii and you need or just want to sell it fast with a no-hassle easy transaction, then contact us today for an “as is” cash offer to buy it, no fees required. That’s right — pay no agent commissions. Why? Because we’re not agents — we’re HOME BUYERS. Even if you’re just considering selling now or in the near future, talk to us so you understand your options. Information is your friend and you should always understand your options. We can help you with that. Do You Need To Sell Your House in Kona? With a happy customer. We can buy your house on Kona, Hawaii. Contact us today! You’ve tried to sell your Kona property but are having problems and getting stressed out. Perhaps you already tried selling with a realtor and it didn’t work or your FSBO (for sale by owner) fell flat. Sometimes selling a house the “traditional” way with a real estate agent isn’t the best way forward. As you are probably aware, selling your house in Kona this way means ensuring the house is not just clean but renovated according to today’s buyer’s expectations – ‘fixer uppers’ just don’t get sold nearly as easily on the open market because today’s buyers want a ‘move-in ready’ home. You also need to be sure the agent you’ve chosen knows the Kona market as well as how to properly market your house among all the other competing houses for sale (yes, your house competes with all the others for sale). You’ll be tied into a contract and have to deal with lots of paperwork. However, perhaps the #1 problem with selling your Kona house on the open market with an agent is that retail buyers will often tie up a property during the inspection and then back out at the last minute or have their bank loan fall apart, leaving you back at square one or even worse. On top of this, if and when it does actually sell, you’ll still be on the hook for the full agent commission. In short… We buy houses Kona, Hawaii…. causing problems… while still paying a fast and honest price for your house. We help property owners just like you in many different types of situations. From divorce, foreclosure, death of a family member, stressful rental property and all kinds of other scenarios. We buy houses in Kona, Hawaii. Sometimes, those who own a house (or townhouse or condo) just need a quick and simple solution — they don’t have the time to effectively prepare and market a house for sale and don’t have the specific knowledge to do so anyway. If that sounds a bit like you, then contact us about the property and sell your house fast for cash. If you prefer to talk to someone in our office instead, just give us a call today at 808-377-4379. Mahalo!